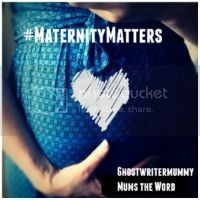 Time for another #MaternityMatters link up! Thank you SO much to everyone that has linked up so far. Jayne and I love reading your posts and we’re enjoying reading new blogs written with passion and emotion. As ever, please feel free to link up as many posts as you like, both old and new- as long as there is a maternity theme. This can be posts or articles (written or read by you) on conception, pregnancy, pregnancy conditions, birth, birth trauma, post natal care, breastfeeding and parenting a newborn. We also welcome more difficult reads on miscarriage and babyloss and we encourage writers and readers to break the silence surrounding ‘taboo’ topics. Maternity Matters has always been about giving a voice to women (and men) affected by pregnancy and birth whether positive or not and we’d love to spread a little support, advice and guidance if we can. Failing that, a shoulder to cry on if you need it. Most of all I am enjoying reading a wide range of honest, from the heart posts. Posts that stay with you for a long time. Posts that tell the readers who the writer is. Posts that truly reflect maternity matters. Thank you! If you do link up, please feel free to grab our badge, and please take the time to visit the other posts on the list too. Tweet us and we will gladly retweet- @ghostwritermumm and @jaynecrammond and don’t forget @maternitymattrs too! Next Post Bibee dresses: maternity wear for all!